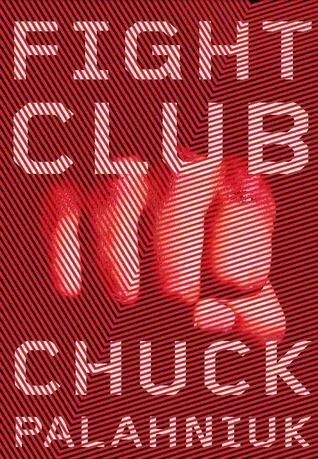 Next week I am studying FIGHT CLUB by Chuck Palahniuk and I thought I would be a good student and get ahead with my reading, so I started reading it at about 2pm and ever since the first chapter I was hooked. Captivated even, wow it is definitely a page turner. I read it while walking to lectures, waiting for my lectures and seminars, while cooking and while eating. I really could not put it down. I finished the book at 11.30pm. It was one of those books where your life has to be put on hold, so you can completely emerge yourself within the narrative. I just love a good book that leaves you both satisfied and perplexed. I absolutely love books that makes to really think and question everything. I do not want to write too much because 1. I don’t want to give anything away and 2. ‘You don’t talk about fight club’ (I have already become nerdy about this book, oh my! I promise you will understand that soon if you pick up the book). Just know that this book will mesmerises you with the use of direct address, which works wonderfully within this paradoxical narrative. I have recently been learning about Freud’s psychoanalytical theory when studying Wuthering Heights and I think that Taylor Durden represents the Id so well. Basically if you do not know, the Id is the impulsive and unconscious part of our psyche, which responds directly and immediately to the instincts. This character is so complex, he is a zealous character who with declaration manages to portray such passion and eagerness that he also manages to talk you into a plan. He is like the little devil that sits on your left shoulder and convinces you that bad things are good. I adore the way in which Palahniuk created an immeasurable amount of tension through his raw and stripped back language, it really enchanted me. I felt both scared and excited. I was fully emerged within the novel and although I have heard that this is masculine novel, I completely disagree, yes it was about blood, violence, the truth behind civilization, consumerism and dependency on a father figure. But this did not restrict me from throwing myself into the novel and fully experiencing the traumatic journey, it just made me question; who am I? What does this mean? The clever thing about this novel is that they characters are not just fighting because they want to, they have to, it was there way to gain control in order to fulfill desire without relying society to do it. I heard about this book and the film for years and I seriously regret not reading it sooner because it is incredible. If you have not read it, go check it out, give it a go. If you have read it, please comment below your thoughts and feelings on it. You can buy it on amazon if you click here. This is why books are so interesting to me, because they can be so polarizing. I tried really hard to read this book. I really did. I just couldn’t do it, I hated it so much. I had to put it down before he even got in to fight club. And yet almost everyone I’ve talked to her loved this book. Maybe it’s me that’s missing something, but either way I just find it interesting that two people can have such conflicting opinions when they agree on so many others. Also, I loved the psychology references. Well done from a fellow psych student. I so wanna read this book! I have it on my Kindle. You need to do it ☺️ it is awesome!